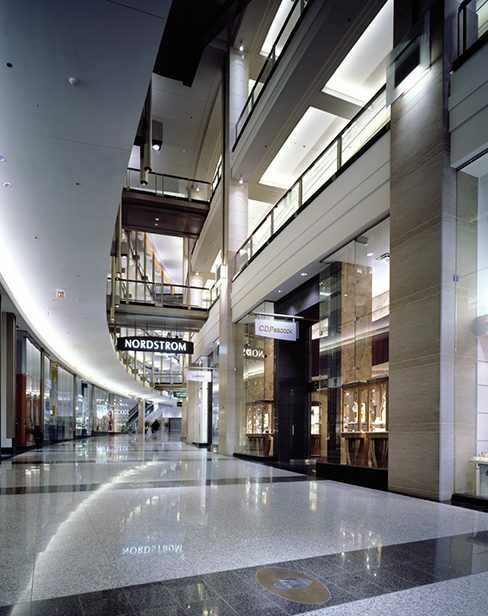 One of the premier retail districts in the world, the Magnificent Mile in Chicago required a creative solution to welcome The Hotel and Shops at North Bridge – a nine-block hotel, retail and entertainment complex with a retail arcade connecting the city’s main shopping and entertainment districts. 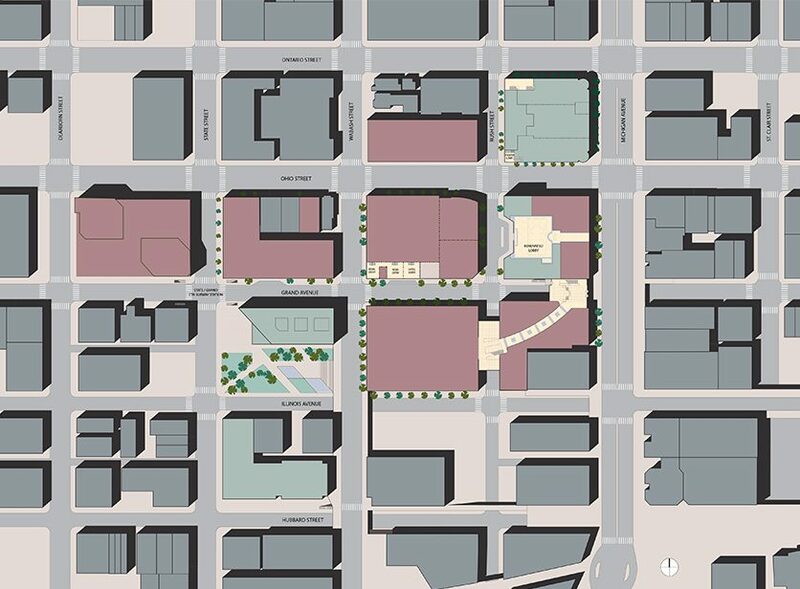 Imagined as a collection of compatible buildings that connects residential and office uses with the shopping and entertainment functions along North Michigan Ave., North Bridge achieves the creation of a cohesive mixed-use district. 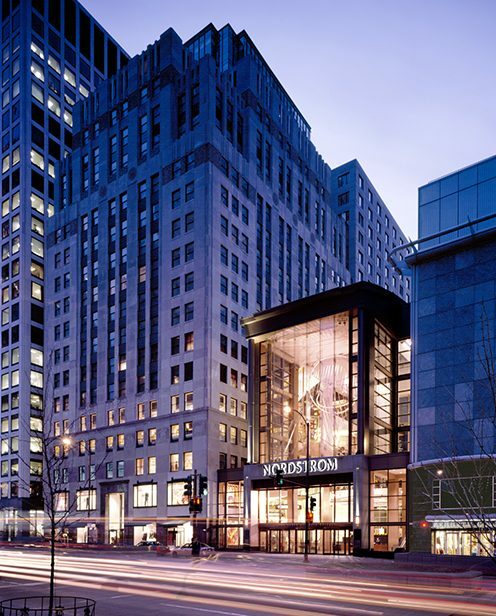 One of the key features of NorthBridge is a new four-star hotel that sits atop notable shopping and retail destinations. 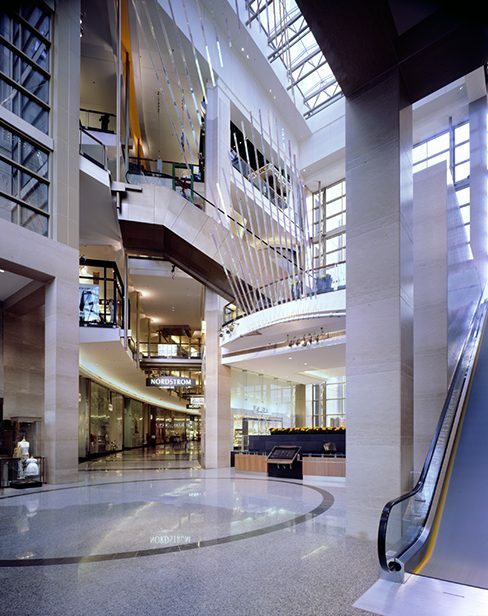 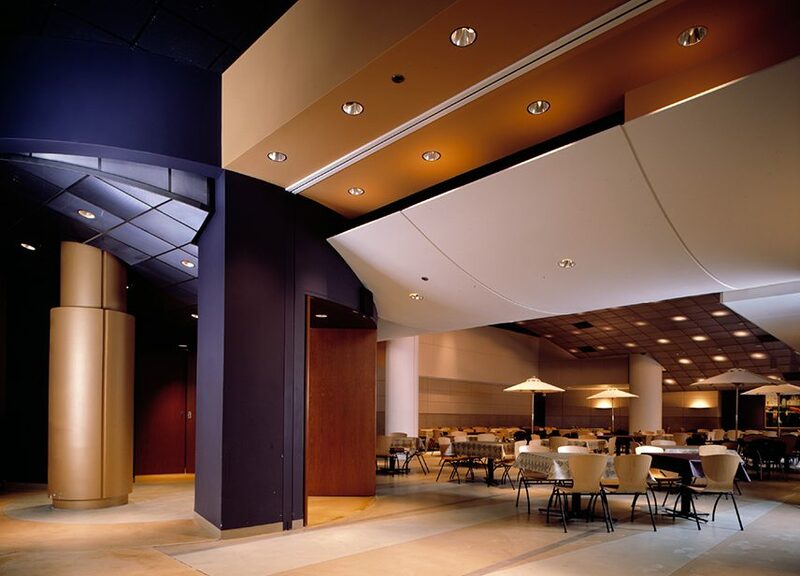 This space proved technically demanding as it required the dismantlement and reconstruction of the landmark façade of the 1929 McGraw Hill Building and the creation of a new 90-foot high glass-enclosed atrium.